Howard Jackson are sales recruitment specialists based in the UK. With many years experience in the field, we source and deliver the best IT sales talent into a variety of clients throughout Banbury, the United Kingdom and across the world. We recruit professional sales people specifically for IT, telecommunications, cloud software, services, networking, hardware, eCommerce and other technology companies based near or in Banbury. 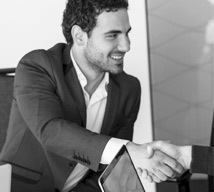 We understand the marketplace and have a plethora of business connections so you can be assured that we have the inside knowledge to make a real difference to your career or to your business. Looking for an IT sales job in Banbury? Why not take a look at our current selection of live jobs vacancies in Banbury, or register with us and receive the latest job alerts? If you’re a client looking for great IT sales people, rest assured that we are fast, efficient and, above all, that we understand your industry. You just explain the type of person that you’re looking for, and our sales recruitment specialists will find the most suitable candidates who match your requirements and recruit the sales people that will make a real difference to your business. Visit our employers section to find out more information about the recruitment services we provide to companies based in Banbury. To find out more about how Howard Jackson may be able to assist your IT company based in Banbury, please call us on 0800 059 0590 or you can email us at applications@howardjackson.co.uk. If you prefer, you can also request a call back and one of our sales recruitment specialists will telephone you within the next 24 hours.